I’m terribly sorry about yesterday. You were so looking forward to your first game at White Hart Lane. It’s not always like that, honestly. Did you have a good seat? It’s great up in the old East Stand. That’s where I sat for my first match too. My dad took me. He wasn’t interested in football like your dad is but he knew I wanted to go so much, he left my mum to look after the little sweetshop that we had, just down the road from your house funnily enough, and he gave up a Saturday just to take me to the Spurs. The stand is still pretty much the same as it was then. It’s not modern like the other ones. We climbed up all those stairs. I dashed ahead of my dad, he was puffing and panting but I wanted to see the pitch as soon as I could. I remember standing at the top, looking down. It was so green. Like a magical place to me, seeing my team, my heroes. Something I had dreamed of. Now I was here. I was ten or eleven, a couple of years older than you. Shall I tell you a secret? When I walk up the short flight of steps to the entrance, I still get a little excited. Look round, take it all in. When I walk from the car and am about to turn the corner where I can see the ground for the first time, I always speed up, just a fraction. It’s what being a football fan does to you. Silly, isn’t it? Don’t tell anyone. Of course when I first went, you could get half price tickets for children. You didn’t have to pay £45 for each seat. Shirts didn’t cost £57. On top of that, your Uncle Mike had come all way the from Yorkshire. And look what happened. Over the last few years, Spurs have played fantastic football. Not always, and we’ve never been able to defend properly for all the 45 years since I ran to the top of the East Stand for the first time, but we have been part of some thrilling games. Yesterday was the opposite. We couldn’t do anything right, not for one single moment. I waited and waited for us to start playing well, passing the ball around, Lennon and Bale making runs down the wings, like I told you they would before the game. It felt like I was in a time machine that had taken me back fifteen or twenty years, when people like Gerry Francis, Christian Gross and George Graham managed the club, the players weren’t very good and we played like this all the time. I’m really sorry, Seth. Some clubs have a tradition. That means that whoever is the manager, they try to do things the same way. At Spurs we pass the ball around. We have skillful players. We attack. It’s entertaining and it sometimes means we don’t win as many matches as we should, but that’s what we want at Spurs. That’s what they teach you in the Tottenham Under 9s, isn’t it? You are a midfielder, good at passing. That’s what they were encouraging you to do yesterday morning at the new training ground. Wish I could see it, sounds fabulous. That’s the Tottenham way, and Seth, it’s the right way to play this beautiful game. Pass and move. Pass and move. Your dad said it was obvious from one glance at the Under 18s and Under 21s yesterday that all the teams at Spurs play that way. Shame the first team forgot about it. Sigurdsson is an international. Did you see how he controlled the ball and then turned into the Wigan man next to him? Not one or two touches but four or five, not every time but but most of the time. Did you see how often he was tackled? Tom Huddlestone, did you know he’s played for England? He’s a great passer of the ball. Long passes mostly. Yesterday some of the passes worked but most of them didn’t. They stay in the air for ages so the defenders can get there first. I like Tom but he has to learn to pass the ball quickly a short pass will do so long as he moves off into more space so he can get it back. He didn’t move around much, did he? I think you could have shown him what to do. Do you know what managers do? They organise the players, tell them where on the pitch they should play, how they should move around, things like that. I expect your coaches do that too. Hope they don’t shout at you, though. I go and see games on Sunday in our local park and all the coaches and dads shout at young boys your age. I hate that. At your age you should try your best and enjoy it. If you do that, you will have had a good game. Our manager is Andre Villas Boas. He’s young, he’s new and I want him to do well. He’s the Spurs manager, after all. So far he’s not done too badly – we were fourth in the League. Yesterday he did some things that were not so good. Wigan are not as good as we are but he started with two defensive midfielders, Sandro and Huddlestone. They play in midfield like you and hang back a bit to protect the back four. It’s a very important position because it helps the defence and starts attacks when we get the ball. Sandro was excellent before he was injured – did you see how he made tackles and passed it simply so we could attack once we had the ball? You are good at maths. If you have two defensive midfielders, you have one less attacker. We made it too easy for Wigan because of that. Here’s some more maths. Wigan lined their players up like this: 3 at the back, 4 in the middle and 3 forward. It’s unusual but it worked. We had no space as we tried to attack. We just couldn’t get it forward and when we did, we only had one man, Defoe, up front. It also meant that Lennon and Bale, our wide players, were marked a long way up the field. They couldn’t get going. They are dangerous, so it meant we couldn’t play well. I think we could have done something about that but they didn’t. I think we could have at least tried to get them going. I think the Wigan manager Martinez was smarter than our manager. The Wigan players aren’t as good as ours. We wouldn’t buy any of them but there is a lesson for you here – they played better as a team. Did you notice how they passed the ball to each other over short distances, then moved into space? They passed the ball the way they were facing, and passed it quickly. That means it is less easy for them to be tackled. It worked. Perhaps you can try that when you next play for Spurs. Our manager could have changed his tactics but he wasn’t keen. I don’t understand why he took Defoe off. He wasn’t playing well but he needs other men to give him the ball. He’s our best scorer and we were behind. I don’t get it. Do you? We really need need a big striker to play up front. Your dad has seen a few decent centre-forwards in his time, ask him what they do. We have Adebayor. He’s good but sometimes the manager does not want to play him, then Adebayor sulks because he’s not in the side. He has to wait, to try harder. Seth, you would play football all day and all night if you mum and dad would let you. That’s the right attitude to have. I bet all professionals were like that when they were your age. It’s a shame some of them have forgotten. As you know, Seth, I go to almost every home game. That was one of the worst I’ve seen in the last twenty years, maybe the worst. Still, it doesn’t always happen but the best team won. I hope you enjoyed it, though. I hope too that you play well for Spurs. 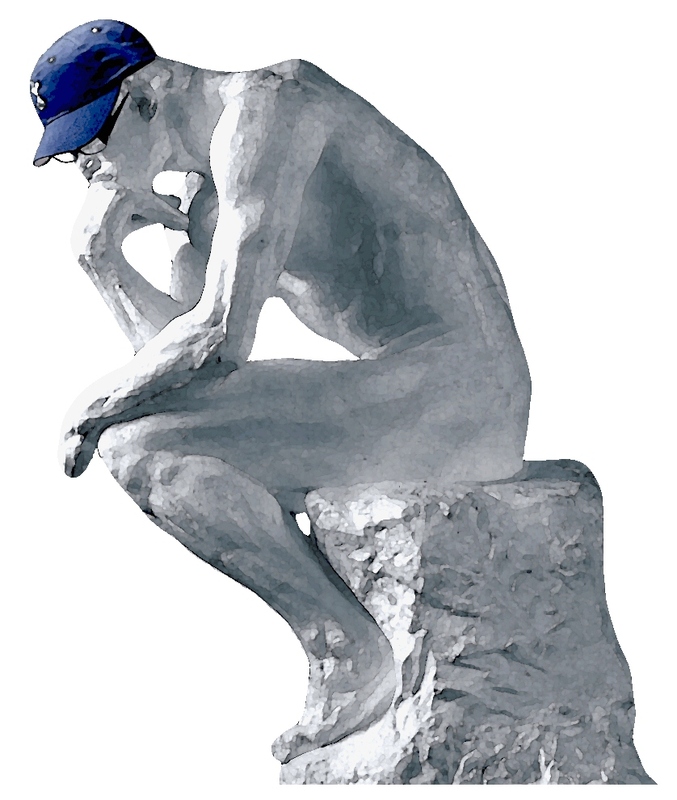 Part of being a fan is you watch them play badly, then after a while you start thinking about the next game, about coming back. That’s a real fan. Who knows, maybe in ten years time I’ll wave to you from the Shelf, except you will be on the pitch. I’ll still be there. I bet Seath is seathing like the rest of us. Wigan, for gawd’s sake…! Nice take on the game Alan. Good to remind ourselves of the magic of just going to Spurs. It made me close my eyes and think of my first time way back in the 70s, Paxton Road for me. A bit of a tonic after the turgid fare on offer from Spurs yesterday. Good luck to Seth on and off the football pitch. Well written and a true Spurs fans bible we all love attacking quick wingers Ginola Jones Taylor the list goes on and Strikers Crooks Archibald Gilzean Greaves to name a few but now its Defoe 5ft7 of pure striking abilaty hemmed in by teams topped up with that many supplements they look gaunt and ready to drop. This my fellow Cockerel is the new eqaliser causing fans to stare in disbelieve at all the shocks explained on Sky by experts has pressing and high work rate working for each other they say every shock result. We have all watched our team over the years get beat on heavy wet muddy pitches or playing a team who have kicked it in row 10 or in the bad old days pass it back to the keeper. But today s shock results are no longer teams hanging on but starving better teams of the football by closing the space a passing team needs to get the ball to there star players. We are suffering at the back from players who are not very good headers of the ball out of defence Gallas Friedel at 35 and 41 are weakneses when we play these teams whose whole game is based on energy levels staying high. This is quite a number of teams who have had more of the ball and in most cases our players have played twice in the weeks presiding these shock games either through Internationals or Midweek Ufa or cup games. This was vital AVB played 6ft4 Ady and Defoe to make sure the back three who liked up with the front seven to form a wave of defense full up with extra energy who had more percentage of the ball something like i say Norwich Chelsea Southampton West Brom have all done so far. This would change if Hudds had a man 6ft4 to aim his missile passes who can hold the ball up and pass to Defoe who could drag other defenders away and create the space these energized players are denying then our flying wingers and full backs could join in. This was why he failed at Chelsea he looked at the opposition thought he could play his team a certain way and suffered the sack you see he played Sturridge and left Torres and Drogba sat watching along with Cahill till he got the sack Ady lives on being loved and wanted so does Defoe both of these should not be sacrificed for a midfielder unless they are scoring every week. We are benching Dawson Lloris Ady and still losing and struggling to win last week we got lucky this week we caved in to extra energy by a team rested against Bradford we was ripe for supplements and its this hidden scandal that can rip the bookmakers odds and Avb plans in tatters and have normal fans booing in disbelive but if you help these teams by weakening your attack you make it easier for the BooooooooBoys and Girls. I hope seth believes this blog because if he don’t then we are in for more Booing and the sack could follow. Avb you got mugged learn your lesson and make sure yo don’t overwork your staff or these supplements teams will shock you. ? Thanks Dav. Leaving the hidden scandals to one side for a moment, ta for reminding me about his Chelsea selections. I admire a guy who knows his own mind but not at the risk of total inflexibility. Watch this space. The less said about yesterday’s debacle the better, but the signs are ominous. Our squad is now paper thin, but if AVB is going to persist with 4231, he has to drop Defoe and bring in Adebayor. Lloris should be starting too. Not doing the obvious is doing AVB no favours; he’s needlessly bringing pressure on himself. Ps did you send the book? As I said above, fine line between confidence in knowing your best team and inflexibility. he simply would not alter his formation significantly on Saturday. I’d give Manu and JD a go together, and play Lloris, but may blog about that later this week. No no no no no. We did not lose because we had too few attackers, but too many. None of our attacking 4 dropped deep to receive the ball, maybe once each..the whole game. Awful. but the problem was not the 2 midfielders so much as the players ahead…a 4-2-4 does not work. Interesting – it’s something I’ve said about Spurs over the years. In this case, Lennon and Bale should have done much more to find the ball and the full-backs should have worked together with them. But the point was less about where the bodies were and more about the transition between defence and attack, or lack of it. When we did have the bodies in midfield, we simply could not find them. I wish that the boo boys as well as Seth could read this Alan. 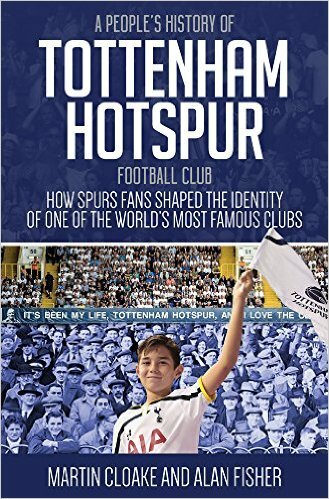 A primer in what it means to support Spurs, and I mean support, and how Spurs came to be the Club they are today. It’s the fans that hold the memory of the Club and its DNA. who is under severe pressure immediately grasp the significance of where they are playing. Kiss the badge, kiss my arse more like. Telling points made Alan in an oblique and gentle way. A sort of anti-rant. The Anglo saxons used to have a saying in times of trouble past and present. At last. Somebody understands me. Look forward to your blog, Jim. Oh, the desperation of us Spurs’ fans! Even when we’ve won, we’ve made hard work of it in the end ..or we try to cling onto a one goal lead. But let’s be honest, despite our impressive squad, we miss terribly that Modric/Parker combination. It didn’t always create results but it worked beautifully throughout most of last season and especially up to the point that Harry started having England visions. And didn’t many independents say we were the best team out there …for our flowing attractive football? Those two alone created the freedom for Bale, Lennon and the forwards, and often were enough to protect the back four too. So what have we got today. Hudd? I always loved him, and looked forward to his return, but sadly I no longer see him as a ‘top four team’ player since his long term injury problems. He can still defend to a degree, pass well and shoot (very occasionally), but he’s too slow and can’t zip around midfield pulling the strings. If he was in Hoddle’s class (I thought he’d get close) then that would be enough, but he isn’t and it isn’t. Plus he plays too deep. OK, I know he’s told to at times, but maybe if he reverted to his normal haircut it would help. Seriously, though, he’s not going to propel us to top four again. Sigg? Honestly, having watched him all season, I don’t think he’s as good as Kranks, but he plays more often in this team than Kranks would have done. So he’s not a ‘top four team’ player either! Very lightweight. Neither yet are Livermore and Townsend. Sandro is becoming a force, and he and Parker will compete nicely for the holding role …but where is the creative spark ahead of them? Not Siggy, not Hudd (who if he stays will be simply another holding player), not Livermore (another holding player), not Townsend (waiting for Lennon or Bale to be out), Tom Caroll? ..one for the future only, Dempsey? Good honest pro ..but he’s not a great striker OR link-up player, just a reasonable mix of both (and again not ‘top four’ material). Dembele can easily play the Dempsey link role better, and it will be fascinating to see how he develops in the team ..but he’s not a creative midfielder, and he’s not a direct link to the holding midfielders. AVB wants us to produce a high pressing game further up the pitch, but we need one or two ‘Modrics’ for that (think Xavi and Iniesta clones), and we haven’t even got one! There was no structure on Saturday, and a number of victories have flattered to deceive anyway, where teams have come back to ‘batter us’ but without reward. And the constant ‘sitting’ on one-goal leads! Spurs cannot be Spurs without a first class creative midfield player …ideally two. With just one, we will see the best of Lennon and Bale again. And oh yes …a STRIKER please! Just think what Spurs might have achieved over the past 3 or 4 seasons if we had had a ‘Drogba’ or a ‘Van Persie’ …or even a ‘Torres’. Think back to the wasted opportunities two seasons ago when we finished 5th. Our wonderful midfield and wingers created more chances that season which weren’t put away than any other Premier team!! I really do like Defoe, but he’s no Jimmy Greaves ..still the last great Spurs legendary striker!? Keane came close to legendary status, Lineker and Klinsman, Crooks and Archibald, Allen (one season), one or two others, but no striker actual ‘legends’ have we had for the Premier League. The traitor Berb maybe could have been close. But Defoe is not even in the ‘close’ league and inconsistency has always been his byword, so that ain’t enough for ‘top four’ either! He is also not flourishing as a lone striker from AVB’s system of midfield flooding but without that vital creative midfielder. So we need someone who can combine the attributes perfectly of both Defoe and Ade because they’re obviously never going to play together, and then that will be our main STRIKER for this squad! Great in theory. The defence looks in good shape for now and the future. Bene’s back soon, Caulker looks established, Kabul is just a bull, Walker will find his form again, Norton has matured, Vertonghen looks class, Gallas is smart, and Daws (our marvellous dependable Daws) will stay and fight for his place and the general cause. Two good goalies. But AVB please listen. Do not be afraid of losing. Spurs has always been about the GLORY. If we get a one or two goal lead, then yes we expect fight-backs, but go all out to increase that lead, keep playing that high pressing game …don’t sit back and try to defend! Do what the best teams do! And finally, just go out in January and get us that creative midfielder who can link beautifully with Parker or Sandro, or even Hudd, and get us that STRIKER who can at least show the promise of being a Spurs legend!! Then we will have a squad that can compete for the title! To be fair to AVB and to us, the Dembele/Sandro thing was working very well, now both are injured. Re the striker, doesn’t have to be a Spurs legend in the making, although that would be nice, just a focal point for our attacks, scores a few and makes a few. That will do for starters. Glad you posted. I try not to exaggerate but I really struggled to recall something as bad as this. It was, wasn’t it? Not a single mitigating factor and I worry how comprehensively Martinez got the better of AVB on tactics, something that is supposed to be our man’s strongpoint. Still, have to wait and see if this is a blip or the shape of things to come. It is a ‘blip’, but the fact we’ve had too many of them in the past 4 years (losses and draws at home against far lesser teams at crucial stages of the season) just serves to indicate we have to eradicate this loss of concentration or ‘take-for-granted’ attitude as quickly as we can. The best teams have blips, and we have shown we have the capability to be among the best teams, but their blips are fewer than ours. Wigan at home was not the most insepid lethargic (etc etc) performance ever by Spurs! I’ve seen dozens and dozens of these performances over the years and I’m talking about during those times when we had ‘very good’ teams and squads in the mid to late 60s, the early 70s, 1978 – 1991 (mostly), and 2005 to the present. So this is not new, but let’s not worry too much. Let’s buy that potentially legendary ‘striker’ and ‘modric replacement’ in January (as everywhere else we’re OK). Stop hanging on for one goal victories, as it’s not what Spurs are about ..and we always seem to screw up when we do that anyway. Sooner rather than later those frustrating blips will diminish, and especially at the critical times when we are on the threshold of something. This squad has promised so much for so long, and now is the time (finally) to start delivering!